During the performance did your ears happen to perk up at the sound of something familiar? Our fortepiano player Brett Hodgdon has taken the lighthearted, jovial, spirit of The Marriage of Figaro and found spaces within the opera, often open for creative license, to weave in some well placed Easter eggs. 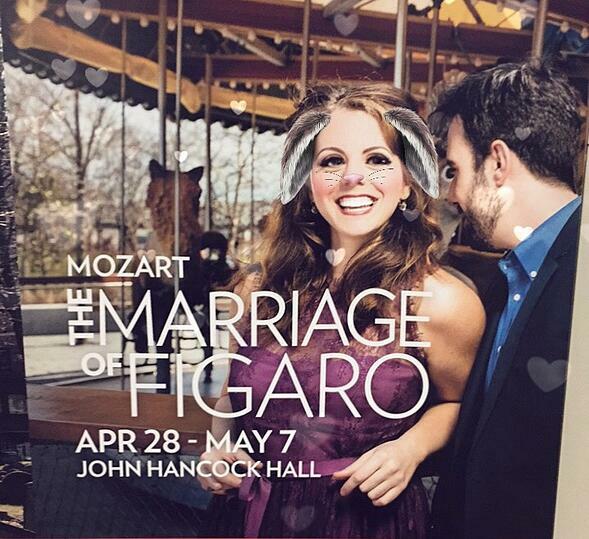 Join us for Figaro and tweet at us during intermission or after the show with what you’ve found! Brett uses excerpts from The Marriage of Figaro overture and will sometimes quote a character's music from elsewhere in the opera (especially with Cherubino and Figaro). Wagner’s wedding march from Lohengrin "Here comes the bride"
Don Giovanni’s serenade "Deh vieni alla finestra"
The Count's aria from Barber of Seville "Ecco ridente in cielo"
Italian folk song "Bella ragazza delle bionde treccie"